We’ve all heard the good old phrase “curiosity killed the cat” right? Cats are pretty darn curious little fur balls and they’ll often decide to see which of your house plants might taste the best. This could include anything from batting at the leaves to digging up the dirt around the plant to all out chowing down on the plant right in front of you. Sheer Boredom: When cats get bored they tend to get mischievous. This can result in all sorts of poor behavior, anything from tearing up an entire roll of toilet paper to of course tearing up your house plants. Be sure your cat is getting plenty of exercise and structured play each day. Enjoyment: We humans love the taste and smell of plenty of plants. Your cat may have found something they really enjoy and thus just wants to keep eating it. I know when I find something tasty I can hardly resist eating it, especially sweets! Dietary Deficiency: Cats instinctively search for nutrients they aren’t getting in their daily diet. 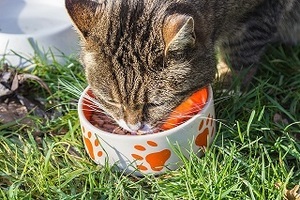 While cats don’t depend specifically on plant matter to live, there are certain nutrients like folic acid that they can acquire through eating plants. Hairballs / Indigestion: More often than us humans, cats get the need to regurgitate. While this is most often caused by a hairball, it can be caused by something else in their diet too. Eating plants material can will cause a lot of cats to vomit up whatever undesirable item is in their digestive track. So How Do I Address It? There are a wide number of things you can do to keep your cat from eating your plants. The first thing I will mention though is that you should not be yelling at your cat when they eat your plants. While that is the first instinct most people have, yelling at your cat typically just makes your cat afraid of you. They don’t make the connection. Instead you should focus on other methods that get your cat to leave your plants alone of their own accord. I’ve listed a set of ideas you can try, in what I consider escalating order of complexity or cost. If the easy stuff doesn’t work, try moving on up the chain. 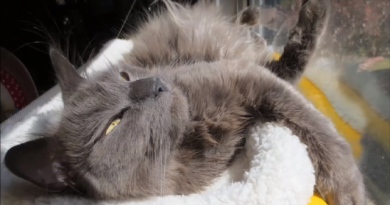 Ensure your cat gets plenty of attention & exercise: Making sure your cat gets a chance to stretch out and play each day is of vital importance for their general health, but it can also ensure that they don’t act out in boredom. Be sure you take time out of your day, every day if possible, to play with your cat. If you’re gone during the day consider getting toys that you can start remotely or that have a timer to auto shut off shortly after you leave. Make the nearby area unappealing: Placing double sided tape or aluminum foil on the ground near your plant is a good way to help prevent your cat from coming near it. You’ll have to crinkle the foil up a bit to make it an uneven surface. Most cats don’t like the feeling of these surfaces and might just stay away from that alone. A combination of 25% vinegar and 75% water (don’t use this too often because vinegar is acidic and can damage leaves). Sprinkle something with a very strong scent like cayenne pepper around the base of the plant and on some of the leaves. 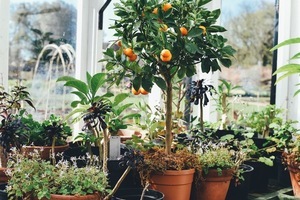 Cats dislike the scent of citrus, some orange peels and lemon peels around the base of the plant is another viable option. Provide Edible Alternatives: There are plenty of plants out there your cat can eat, in particular cat grass, cat nip and cat mint. Cat grass in particular is easy enough to grow at home in just a few days. You can use these alternatives to encourage your cat to focus on them instead of your other plants. Note you don’t want to place the edibles right next to your other houseplants, keep them in areas where they won’t register pleasure with eating your other plants. Cat Deterrent Systems: You may have heard of the SSSCat System, it is a pretty cool gadget. Essentially it works by detecting your cat nearby with a motion sensor and spraying a jet of compressed air at them. This will typically scare your cat off. I’ll be posting a full review of the SSSCat system shortly, but to say the least it works quite well with my two wimpy cats :). Cat Deterrent Sprays: There are a bunch of different sprays out there, but the two biggest are Bitter Lemon and Anti-Chew. Both promise to keep your cat from chewing on things they aren’t supposed to chew on. Be sure you spray them in a small area first before going to town, otherwise you could really damage your plants if they react poorly to the spray. Grow Buffer Plants: Adding some buffer plants that cats don’t like can help deter them. By buffer plants I mean place plants like lavender and rosemary nearby the plants your cat is eating. These plants have very strong scents that don’t appeal to cats and can help deter them. Moth Balls: Moth balls have a very strong scent that cats don’t seem to like, but they are also toxic to cats if ingested. If you can put them inside a safe box with holes popped in it so the scent comes out this is a viable option as well. There’s the unfortunate side effect that most people hate the smell of moth balls too. Lion Dung: Yes folks, lion dung. You can buy lion dung now. It is part of a product called Silent Roar. The idea is if you mix this into the dirt your houseplant is in that cats will realize a far larger and more fierce animal has marked this territory and your cat will now leave it alone. I have not tried this product, but some reviews of it are positive. Cage Your Plants: You could use a pre-bought cage or rig something up yourself, but a plant cage could keep the plant safe at the expense of looking pretty tacky and becoming a huge hassle for you to work around. Create a Safe Room: If you’re fortunate to have enough space, as a last resort you can move your plants into that room and keep it cat free. 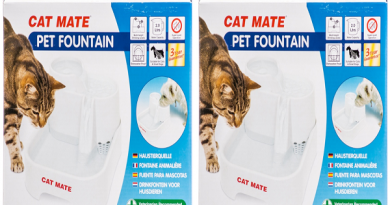 This will let your plants grow and keep them safe from your cat. If all else fails you can always try growing different plants inside to see which ones your cat ignores. 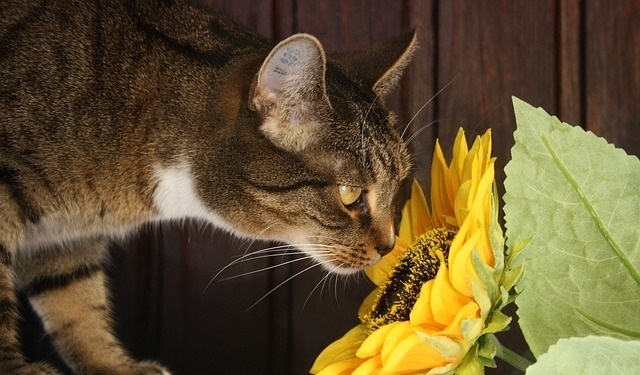 Generally cats don’t like plants with very strong scents so this can help you locate a few plants that might work. Whatever you do, be sure the plant is not poisonous to your cat before you decide to grow it nearby. If you have any experience keeping your cat from eating a particular plant please share it below or email me directly at Craig@StuffCatsWant.com. I’ll be happy to update the article to reflect any additional information! ← Dry vs Wet Cat Food – Winner Winner Chicken Dinner? SUPER informative! I have a family member who I’m going to send to this page. She is ALWAYS complaining about her cats destroying her plants. Thank you for this! Thanks for passing the article along Doug! Much appreciated. Wow, that is so cool that you can buy Lion Dung to keep your cats away from the plants! I imagine that it would also double as a fertilizer and add nutrients to the flowers. Hopefully it’s not too strong for human noses though. That would be an interesting conversation to have with any guests that asked about the smell! Speaking of nutrients, it makes sense that cats would start eating plants and other things if they aren’t getting enough food, or not enough nutrients in the food that they do get. If I remember correctly, a similar thing happens to humans too for that same scenario. So it’s imperative that we take good care of the cats dietary needs and monitor them for signs that anything might be wrong. 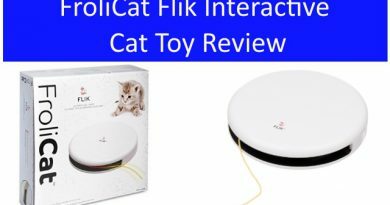 Are there any particular brands of cat food that are full of necessary nutrients that you would recommend? Great question on the food. I actually am just finishing up a post right now that will detail out some really high quality foods. I’ll be sure to update you when it is complete. Interesting post! I once shared a flat with a friend who had a cat, Lizzy and she always put lemon and orange peels around her plant just so she could make her cat move away. One thing I don’t recall her doing was playing with her cat and so it always wandered from one end of the room to the other. Bookmarked this post. Thanks. Cats are a riot aren’t they?! My husband and I were thinking about adopting a cat and this site is a great place for us to get some information about how to handle cats and what they want. We have some plants around the house so your tip about aluminum foil around the plants is a great idea and I would never have thought that it could make the unattracted to the cat.